The First Tropico 5 DLC Is Bringing The Cheese! For those of you who can’t get enough of the latest installment in the Tropico series, well I have some interesting news for you to digest (HEH!). It has just been brought to my attention that the first DLC for Tropico 5 is going to focus on cheese production. If there was ever a bit of DLC that had my name on it, I do believe this is the one. The DLC is known as “The Big Cheese” and will cost you $3.99, but will also be free for those proactive folks who pre-purchased on Steam. The game showcases El Presidente’s desire to make his own cheese factory, which just so happens to feature a production chain that relies on the labor of the island’s goats and llamas. What’s the catch to all this amazing-ness? Well, all of the other countries will be trying to make a cheese factory that puts yours to shame. You better make sure your goats and llamas are prepared for lots of overtime. The DLC is available right now dudes and dudettes! This entry was posted in All, Featured, News, PC and tagged Tropico 5 on July 24, 2014 by Mike Guarino. Alien: Isolation is one of many highly-anticipated games coming out in the month of October, and in a new trailer we get to see the cast of the original movie talking about how much different of an experience it is. Many of them note how in a movie you are just a spectator, but the fact that this is a video game puts you right into the world with no escape. Check out the trailer below. Alien: Isolation is being developed by The Creative Assembly for the PlayStation 3, PlayStation 4, Xbox 360, Xbox One and PC. It is scheduled for release on October 7th, 2014. This entry was posted in All, Featured, News, PC, PlayStation 3, PlayStation 4, Xbox 360, Xbox One and tagged Alien: Isolation on July 24, 2014 by Mike Guarino. 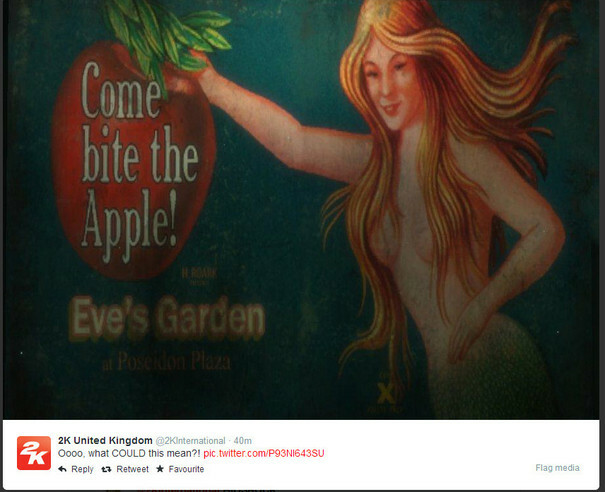 Is 2K Teasing A New BioShock Game? Those teases! The people at 2K have taken to the company’s official twitter account to post an image that brings with it a whole lot of teasing. There’s no question that 2K Games is looking at more BioShock in the future due to how incredibly well BioShock Infinite was received, so this could definitely be a hint at an announcement coming soon. Considering this is an image from the original BioShock, maybe we could be looking at a remaster on current generation systems? This entry was posted in All, Featured, News, PC, PlayStation 3, PlayStation 4, Xbox 360, Xbox One and tagged 2K, BioShock, Bioshock Infinite on July 24, 2014 by Mike Guarino. EA has stated that the way in which future Battlefield games are developed could be changing. This would be a very wise move for the Battlefield franchise as a whole, because just about everyone agrees that the Battlefield 4 launch was a disaster. With many left unimpressed with what the Battlefield Hardline beta had to offer, it’s probably a good idea for them to take a little more time to fully-realize future installments. This entry was posted in All, Featured, News, PC, PlayStation 3, PlayStation 4, Xbox 360, Xbox One and tagged Activision, Battlefield: Hardline, EA on July 23, 2014 by Mike Guarino. There had been a lot of hoopla over the fact that Watch Dogs‘ graphics were downgraded compared to when it was first revealed and what the finished project looked like. This upset many, because they felt that Ubisoft was basically dishing out false advertising by doing a bit of a bait and switch. However, there is one fan who has taken the matter into his own hands and has been sharing a PC mod that greatly increases the game’s graphics. The gamer goes by the name of TheWorse (real name Frederico Rojas) and he has been releasing updates that have steadily improved aspects of the core game, such as rain effects and vibrancy. So, if you’re a PC gamer and are into game mods, you should probably give it a shot. There is definitely some big improvements made, and a prettier looking game for the price of nothing certainly isn’t a bad thing! This entry was posted in All, Featured, News, PC, PlayStation 3, PlayStation 4, Xbox 360, Xbox One and tagged TheWorse, Watch Dogs on July 23, 2014 by Mike Guarino. The second to last episode for The Walking Dead Season 2 is called Amid The Ruins, and Telltale Games has revealed that the penultimate episode will be coming out next week. The new episode is set to launch on the PC, PS3 and Vita on July 22nd, Xbox 360 on July 23rd and iOS on July 24th. The episode will cost $5 individually, but you can also have the whole season paid for with a season pass that costs $19.99. This entry was posted in All, Featured, News, PC, PlayStation 3, Vita, Xbox 360 and tagged Telltale Games, The Walking Dead on July 17, 2014 by Mike Guarino.